Home / Reviews / The Eyes Truly Have It – Glitter Eye Glam! 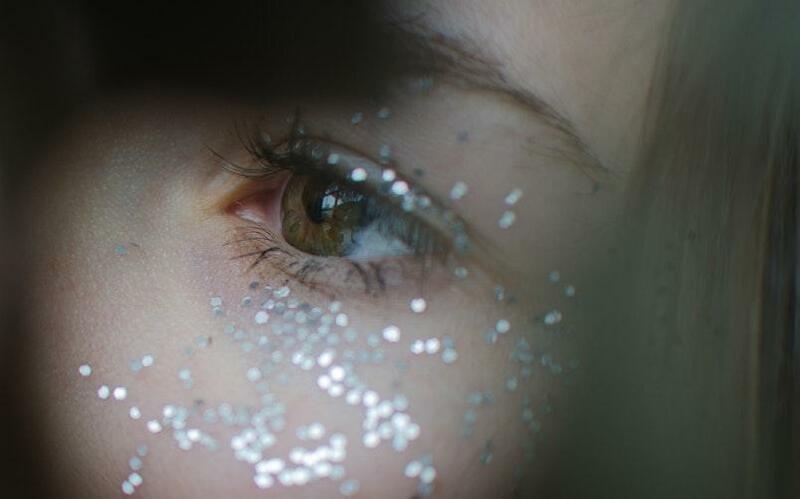 The Eyes Truly Have It – Glitter Eye Glam! Who said, “All that glitters isn’t gold?” In the realm of cosmetics, gold eyeshadows and gold lipsticks look as glamorous and gorgeous to a beauty diva as the Gold Medal looks to an Olympian! When your eyeshadow shimmers, shines and sparkles with glitter galore, you’ll look even more stunning than ever before! Applying glitter eyeshadow to your gorgeous peepers is a simple and amazing way to create an alluring, sophisticated look that steals the show when you walk into any room. The addition of glitter to the eyes makes the eyes pop. If you add heavy eyeliner and mascara, your eyes will stand out even more in shining, dazzling abundance. No matter if your eye color is brown, gold, hazel, green, violet, or blue, glitter eyeshadow will look fashionably well on you! Did you know that by merely applying eyeshadow on your eyelids and under your eyebrows, you can make your eyes stand out, add depth and dimension to your eyes and look more attractive? Wearing shades of eyeshadows that complement your eye color creates an aura of elegance and beauty. Since the best rules of fashion are no rules at all, mix and match colors of your choice and experiment with them all! Prepare your eyes by applying eye primer across your upper and lower eyelids (this limits the chance of creases in your eyeshadow). Blend the primer in with your fingertips or a Q-tip. Select either a powder, cream, cake, or liquid glitter eyeshadow. Apply the eyeshadow to your upper or lower eyelids, or maybe on both, with your fingertips, makeup brushes, or pencils. Experiment with a variety of colors to match the color of your eyes or your clothes. Neon colors will make your eye pop. Pastel colors will provide a soft, dainty, elegant look. To remove glitter eyeshadow, I would recommend using a commercial eye makeup remover. For some eyeshadows, warm water alone will remove the eye makeup. Of course, petroleum jelly works wonders to remove eye makeup. For a glorious set of eyes, highlight your glitter eyeshadow with heavy black eyeliner and black mascara. This provides a theatrical, dramatic look that will steal any spotlight! Eye, eye, eye, where did you get those fabulous eyes? For eyes this glamorous, I suggest you give Mobile Styles a try. Mobile Styles is an app available to download on any mobile device. Professional health and beauty stylists will come directly to you whenever, wherever. Stay home in your jammies and relax with great food and drink, and sink into a pampered atmosphere of makeup and beauty. What a grand idea, don’t you think? Get your glitter eyeshadow groove on! You can’t go wrong! For more information on Mobile Styles, visit their website at mobilestyles.com.